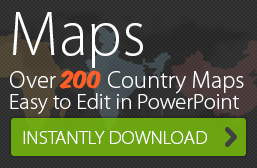 You are here: Home / PowerPoint User Tutorials / Want to Learn PowerPoint from Scratch? Microsoft Gives a You Crash Course! You have to make a presentation for that all important meeting, but you have never used Microsoft PowerPoint. You don’t have much time to join a class to learn, you don’t have time to search for basics. So what do you do? 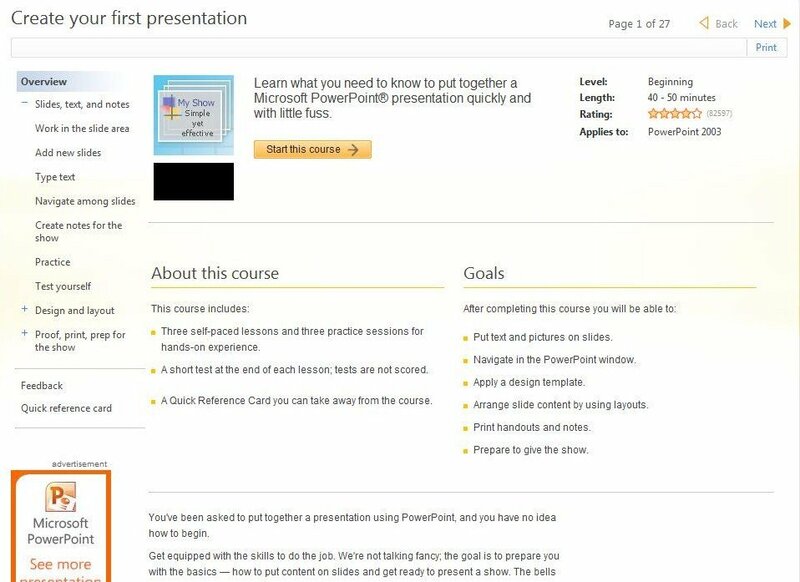 Microsoft has come up with a very clever, short training course for PowerPoint beginners. Don’t worry, it takes approximately 40-50 minutes to complete the course. The course is a mix of audio and visual text instructions. During the course you will learn the basics that will get you started – Creating slides, putting content in the slides, and make them look good. 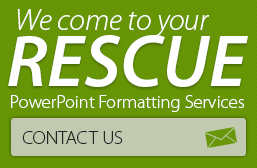 It’s completely free, doesn’t require a sign-up and is available for multiple versions of PowerPoint, i.e. 2003 and 2007. The course is divided into 3 self-paced lessons – Overview of PowerPoint, Design & layout and Proof, print & prep for the show; 3 practice sessions and practical experience. They also have a short test at the end of each course so you can be sure you have understood that section (but no need to worry, these are not scored!). At each stage, the course also offers useful Suggestions and tips. Once you are done with the course, you can also use their Quick Reference Card For a summary of the course, which highlights all the major points. So what are you waiting for? Go ahead and check it out today and get ready to make your first PowerPoint!